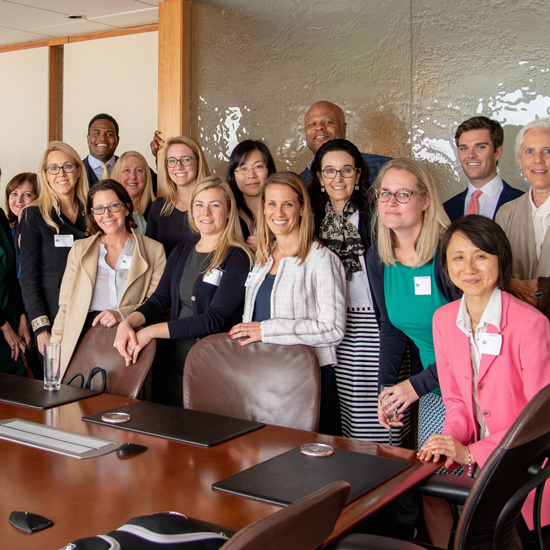 SAN FRANCISCO – April 12, 2019 – 100 Women in Finance (100WF), a global non-­ profit organisation of more than 15,000 professionals in the finance and alternative investment industries, yesterday held its sixth annual West Coast Investor Conference, “Capitalizing on Diversity and Returns: Investing with Female Managers” attended by female portfolio managers, institutional investors and investment consultants. The Conference attracted more than 80 senior investment professionals, including 37 female fund managers from 25 firms, and 48 institutional investors and investment consultants from 29 separate firms. This was the 11th investment conference organized by 100WF since 2014 for the purpose of forging stronger connections between capital allocators and female investment talent. 100WF hosts similar conferences in London and New York City. The Conference was hosted, for the sixth consecutive year, by PricewaterhouseCoopers (“PwC”) in their Embarcadero Center offices in San Francisco, and was sponsored, also for the sixth year, by Progress Investment Management Company. Other sponsors included Bloomberg, Hedgeye Risk Management and FDC Global. The Conference was founded by 100WF members Marianne O, Co-­Founder, Partner and Portfolio Manager at Lumen Advisors and Nadine Terman, CEO and CIO of Solstein Capital. At this year’s event, more than 150 one-­on-­one sessions between institutional investors and fund managers were arranged. Attendees also heard a kick-­ off presentation by Cara Slear, Senior Data Analyst, Investment Management & Alternatives Data Team of Bloomberg, luncheon keynote address from Darius Dale, Managing Director and Partner of Hedgeye Risk Management and a panel discussion including Kelly Chesney, Principal of Pluscios Management, Floyd Simpson III, Investment Officer of FIS Group, Christina Wang, Investment Officer of City of San Jose Office of Retirement Services and Thurman White, Chairman and CEO of Progress Investment Management Company and Chair of Investment Committee for Silicon Valley Community Foundation. At the conference, senior 100WF members and invited guests gathered for a special workshop on recognizing blind spots in diversity and using cultural knowledge, emotional intelligence and interpersonal skills for conscious leadership toward the advancement of women. 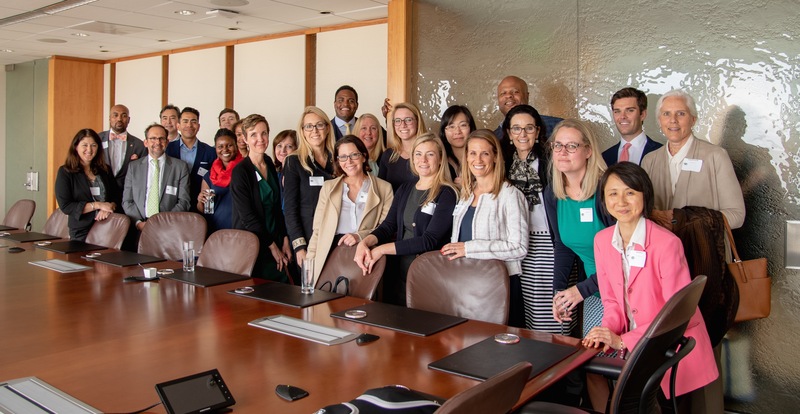 Moire Rasmussen, PwC’s regional Market Diversity Leader, led this workshop. Hosting investment conferences is an important part of 100WF’s mission to empower women in the finance industry at each career stage. By calling greater public attention to women at the highest levels of the finance industry and by enabling funding for female fund managers, the organization inspires the aspirations of women in early-­ stage careers towards goals and roles that reflect their talents and ambitions. In 2018, 100WF launched a campaign to enhance the public visibility of female fund managers with a global directory that is accessible on the organization’s website. The directory now has more than 250 constituent members, and is used by the media, conference organizers and institutional investors to identify and engage with female investment professionals. 100WF CEO Amanda Pullinger summarized the event, “The Conference reflects the essence of 100WF’s impact – we bring together industry partners for high-­value collaboration towards women’s advancement. We are so grateful to Ms. O, Ms. Terman, our member volunteers, PwC, Progress Investment Management Company, and all our other sponsors for their support of the Conference and of women in the finance industry. Progress Investment Management Company, a manager-­of-­managers, manages $6.8 billion in assets for some of the largest and most sophisticated corporations, public funds, foundations, and Taft-­Hartley plans in the country. The firm employs a variety of domestic, international and global equity and fixed income strategies, including hedge funds. Progress is unique in that it was and remains at the forefront of identifying, supporting and funding emerging investment managers, defined as high alpha-­potential firms and strategies that are not identified through traditional manager search processes. Emerging managers are often, but not always, women-­ and minority-­owned firms.